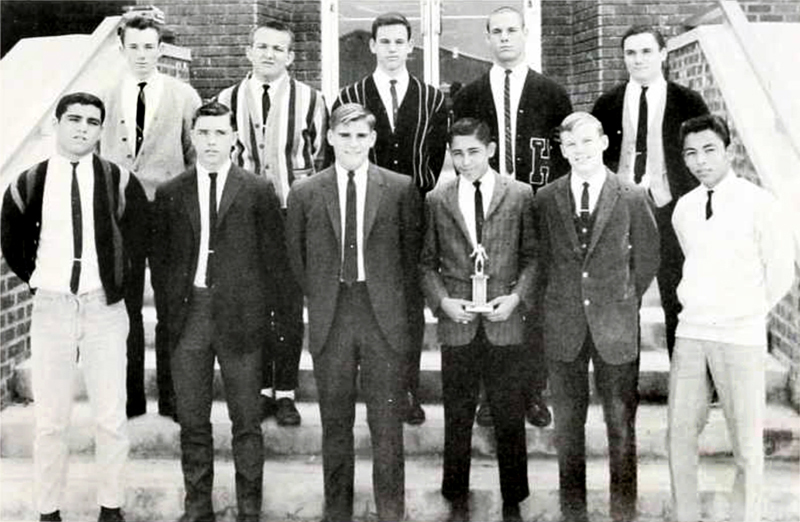 Hart High School's 1966 wrestling team. 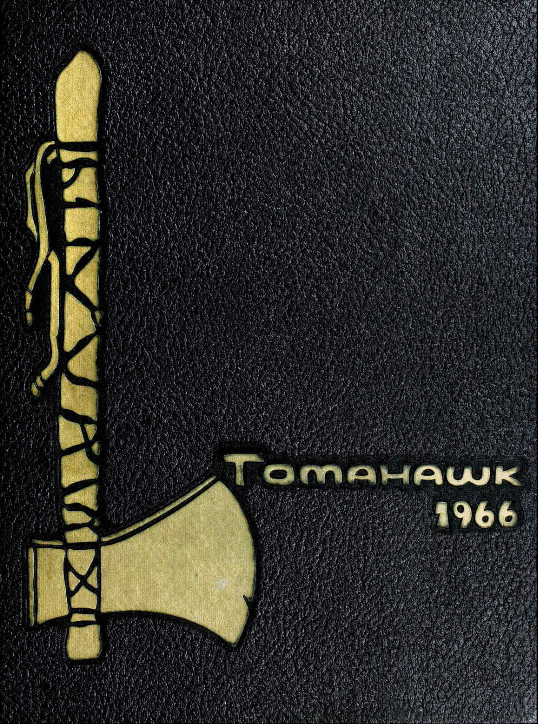 Photo from the 1966 Tomahawk yearbook, which identifies this group as those who "placed in their weight classes at the League Tournament." The formal attire wasn't just for picture day; male athletes were required to wear a coat (or sweater), white shirt and tie on Fridays during the season their sport was active. Top row, from left: Dan Shepard (junior) 3rd; Gordon Gaither (senior), 2nd; Frank Rock (sophomore), 1st; Tom Rock (senior), 1st; Bob Frenya (junior), 3rd. Bottom row, from left: Richard Acosta (junior), 2nd; Woody Heselius (sophomore), 2nd; Tom Fratt (junior), 3rd; Richie Clark (junior), 1st and trophy for fastest pin; John Moore (junior), 3rd; Mario Mercado (sophomore), 1st. Gordon Gaither married schoolmate Nanette Lagasse of Mentryville. Frank Rock became an expert in the St. Francis Dam Disaster. Mario Mercado was a talented athlete who remained at Hart for many years — first as a coach, then (as of 1986) as counselor. He retired at the end of the 2008-2009 school year. Mario's sister Gloria Mercado-Fortine has served four nonconsecutive terms on the Hart School Board (as of 2014) after having served on the Castaic elementary school board.